Ben Harper's 9th original album Lifeline comes out today on Virgin Records. I've been appreciating the relaxed and spontaneous vibe, especially since I found out the story of its birth into this world: it came to be in Paris over a mere seven days, recorded straight to analog tape after being worked out and perfected during soundcheck rehearsals on tour. Do the kids know and love Ben Harper nowadays? I can't tell if the flippant comment from a friend is indicative of larger public sentiment -- but I still remember discussing Ben with a pal named Mike who loves good music. With a wave of his hand, Mike dismissed Ben as a stoner hippie festival-type musician. I vehemently objected to this unfairly narrow categorization (although hey I'll admit those are three things Ben does do exceedingly well). Ben incorporates elements of funk, gospel, rock, and soul into his music. His lyrics have a depth of poetry and a political/social edge to many of them, but he also writes the introspective, personal, relational lyrics heartbreakingly well. I first heard Ben when he opened for Pearl Jam on their 1995 tour. He would join PJ for closing renditions of "Indifference" or The Byrds "So You Want To Be A Rock 'N' Roll Star." His early albums are embedded deep within my musical consciousness. I feel like I had less music to listen to back then, before the Internet, when I could only afford a handful of albums each summer, so I listened the bejesus out of both Welcome To The Cruel World (1994) and especially Fight For Your Mind (1995). Ben's put out fantastic albums in the last ten years, but the most radio buzz that I remember him having was when he played slide guitar on Jack Johnson's breakout hit, "Flake." The first time I heard that song, sitting at the stoplight on El Camino, waiting to turn left into my University for an early morning class, I thought for sure it was new Ben Harper and was truthfully kind of peeved when it was this Jack fella instead. Ah well. In case that's all you remember of Ben from the last few years, I've put together a little collection of Harper goodness -- your ears will thank you. On the one hand we have some revisions of his originals . . .
And on the other hand, some fantastic covers that Ben has applied his unique stamp to . . .
Ben is a man possessed when he plays the slide guitar. I've seen him live a half a dozen times or more, and he always deeply impresses me with his skill and his almost transcendent passion while he improvises and wails on his instruments. He is soulful, mournful, and slack-jaw-inducing impressive to witness. He's on tour now with the talented Piers Faccini [previous mention], coming through Boulder this weekend (same night as Wilco, I am torn). And finally, Ben just wrote an interesting feature for the New York Times this week about music he digs. He says of Ryan Adams, "The lyrical prowess with the sense of melody, the depth of honesty with levity, the soulfulness with hauntedness — it’s all the stuff I want to listen to. . . I was first pulled in when a friend first gave me his disc four years ago. I started listening to everything he put out. I sure have played 'Easy Tiger' (Lost Highway) a ton. It won’t leave my rotation; it’s holding. I could go on about him because he’s what modern music — popular music —needs to sound like." The article also discusses his affinity for Tom Petty, Bob Dylan, The Nightwatchman (aka Tom Morello), and Money Mark. Read it here. Great post today. Love that Ben Harper. Still waiting for my copy of Lifeline to arrive. Thanks for these songs though. If you like Ben Harper's lap style slide guitar playing, you should check out Kelly Joe Phelps. 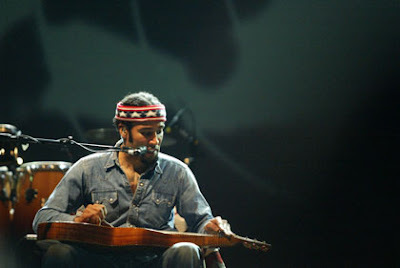 He is an excellent singer songwriter, and an amazing slide guitarist. All of his records are great, but Shine Eyed Mister Zen is probably his best. i thought his 90s stuff was good, but the last few albums have left me cold. Lots of love for Ben Harper. I got turned onto him in 8th grade with a copy of "Welcome to the Cruel World" given to me by a friend who I was constantly in rivalry with to find the coolest music no other kids nor even the younger teachers at school new about. I'm especially excited that he's releasing another album so soon after last year's double-disc "Both Sides of the Gun". I have tomorrow afternoon off from work, so I'll probably be listening to "Lifeline" on reapeat for most of the day. It's also hear that Ben is such a fan of Ryan Adams who I am also irrevocably a huge fan of, not to mention Ben's association with Eddie Vedder and Jack Johnson and I'm dreaming of "Travelling Wilburys" type collab in the near future. This is my first comment to one of your blogs but i am a repeat visiter to the site due to our common adoration of ben harper and pearl jam. Thank you so much for the remixes and covers posted here. I found ben harper by pure accident. He was meant to be supporting pj harvey in dublin in 96 i think but the tour got cancelled. However a local tower records was sellin damage stock due to fire and fight for your mind was sellin for less than a bus ticket....i took a chance and he has inspired me then on. Cheers for your amazing blog...peter, dublin ireland. Another really good slide guitar player is Robert Randolph. His band is kind of a funk/soul blues type fusion. Their last album was called Colorblind. Oooh I like the idea of the above comment - a "Traveling Wilbury's" with Jack Johnson, Ben Harper, and Eddie Vedder! Great post as always Heather! I'm also diggin' the new album. I was a little hesitant to pick it up as I was quite disappointed with "Both Sides of the Gun". Thankfully, Ben is only sticking to the instruments he knows best. Mr. Harper on the drums was a little scary the last time around. I'm a moderate fan of Mr Harper, but his iTunes originals is one of my favorite albums to have pop up on the playlist. 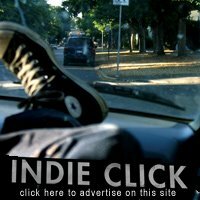 The song, "Please Don't Talk About Murder While I'm Eating" has found it's way onto many a mixtape(CD). In The Colors is sure to do it as well. i personally really enjoyed ben's last couple of albums. one disc of 'both sides of the gun' is much better than the other but it's a great album. 'diamonds on the inside' is also a really fantastic album with half the tracks really standing out (to me). can't wait for this new one! oh and i would say you can't go wrong seeing wilco or ben harper considering they both tour fairly regularly and you're likely to see them come through again. I am on the fence about Harper. Really am. If hes such a talented guitar player why did Marc Ford play lead for a couple of years. I really think most audiences dont know slide guitar so they are amazed when see him sing and play. It aint new..try Sonny, Kimock, and then tell me how great harper is. i fell asleep once during a ben harper set at a music fest in atlanta. frealz. but then there are like 5 of his songs that blow me away completely, so it's an odd relationship. 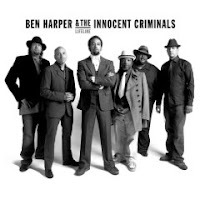 Thank you thank you thank you for pointing a little well deserved spot light at our good friend ben harper. i have long admired his near brilliant song writing and believe he is one the absolute BEST live performers out there. He is inspiring, soulful, sensual and beyond talented. He doesn't get enough credit. Ben saved my life. The year was 1995, i was going through some tough times. Music was my refuge and somehow i stumbled upon Ben's first 2 records. Can't remember if i bought a disc or saw him open for PJ in Detroit first. Anyway, the music spoke to me. And he was touring furiously that year. I was so lucky to see him live in tiny clubs on several occasions. My favorite was on the campus of Michigan State University. He played a 200 person classroom called Ericson Kiva. First he lit the place on fire. Probably half the folk their were being exposed to him for the first time. By the end he had everyone sitting silently on the floor eating out of his hand. That vibe has been a part of me ever since :).